Manhattan, NY, September 19, 2018 --(PR.com)-- Forms of wellness have become a status symbol in their own right. One’s fitness craze of choice can be an indication of who they are and how they choose to present themselves. With health and wellness at the forefront of people’s minds, both in aesthetic and lifestyle, brands have seen that people are no longer into the idea of spending hours at the gym only to replenish their bodies with sugary sports drinks that are ultimately detrimental to their health. Roly Nesi, Founder and CEO of ROAR Organic, saw this need to do better and created a Non-GMO, 100% Natural, Vegan, Gluten-Free and Soy-Free product with no artificial sweeteners. The brand’s reach has grown exponentially in a very short period of time, with the product now available at Target, Costco, Wegmans, CVS, Facebook NYC, Bristol Farms, and Just Salad, to name a few. With new flavors constantly being released, the latest include Georgia Peach and Blueberry Açaí, there has been constant buzz around this millennial-focused product. The brand’s appeal is not only in its health benefits and ease of access but in the lifestyle its created. 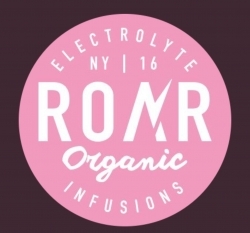 From its Happy Hour event at Complex Media to providing the refreshments at the Surf Lodge in Montauk, ROAR Organic has its eye on the youth.